Unveiled on April 2014, Amazon Fire TV is a high performance digital media player. It can stream audio/video content to HD TVs as well as play video games. The limited version is called Fire TV Stick which came a few months later. When it was first released, it supports 1080P streaming and Dolby Digital Plus 7.1 surround sound. After that the resolution has been upgraded to 4K on the second and third generation. However, there is no built-in support for Apple Music nor the AirPlay feature like Apple TV. But fear not, here I will show you how to stream Apple Music on Fire TV. When it comes to play Apple Music on Amazon Fire TV, there are many buzzed solutions available online. The most popular one is to crack the Fire TV Stick system to install the Apple Music or the Air receiver app. Well, this does work very well according to some DIY tech geek. As a common user, honestly I have no idea to do that even after looking at the tutorial carefully. Besides, the app might cost me annually. This is not a good solution I'd like to opt for. After digging into the web for more info, I found that some DRM breaker has been rolled out in the market to solve this problem with ease. 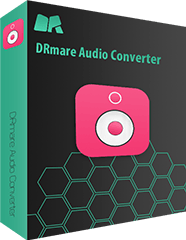 DRmare DRM Apple Music Converter for Windows/Mac is such a tool. It offers one stop solution to strip DRM protection and convert Apple Music to MP3, AAC, M4A, M4B, FLAC. So that you can play them everywhere such as the Amazon Fire TV Stick. Generally you just need to do a few clicks. You won't have any problem in using it even if you are a green user. One small downside is that it is not a freeware. If you are satisfied with it, you can spend some dollars for one-time purchase. Compared to what you spent on Apple music, it is really not worth mentioning. The bottom line is that you can try it out for free. As Apple Music are combined with the FairPlay DRM protection, you need to remove that before you download them to the Amazon Fire TV. It is 100% legal as long as you only use it for personal, so please rest assured. Now follow me do that step by step. Before you get started, I'd suggest you download Apple music to iTunes first. After that you can click the 'Add Files' button to browse the Apple music files to import directly. In case the files don't show on iTunes, just go to the 'Preferences' Window. And then enable the option 'share iTunes library XML with other applications'. Amazon Fire TV supports the audio formats such as AAC, AC3, FLAC, MP3, PCM/Wave, Dolby Atmos, so you can select one compatible format you want. Here I'd choose MP3 for example. Just click the 'Output' droplist and then you can easily change the format. 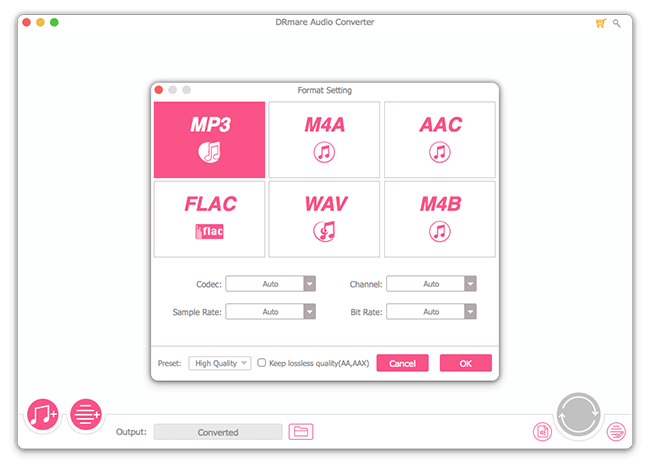 Besides, you can also, customize the codec, channel, sample rate, bit rate and so on. When everything is ready, you can slightly tap the 'Convert' button. 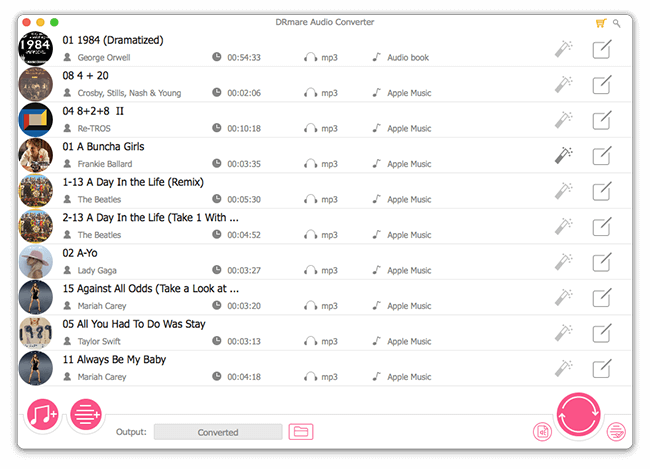 Then DRmare Apple Music Converter will convert Apple Music songs to the new files in batch. Normally it takes a few minutes to convert couples of files. But, if you have thousands of songs, it may take a long time. You just need to leave it to run, DRmare software can encode them smartly. Congratulations. 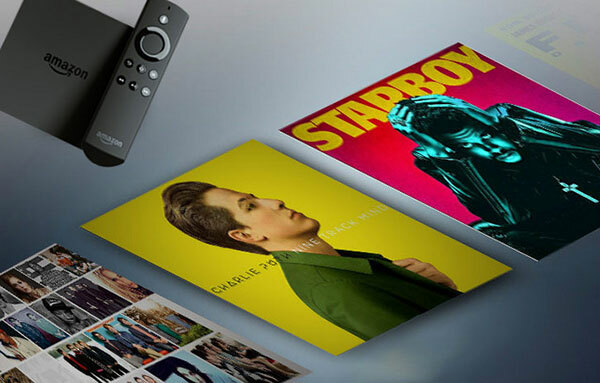 Now it is time to enjoy the music through your Amazon Fire TV box. If you Fire TV is compatible with USB, then you can stream music from USB. Else if you have a Fire TV which doesn't have a USB interface, you can stream via the Amazon cloud. For more details, you can check the following two methods. 1. Copy all the converted DRM free songs to a USB external hard drive or USB flash drive. 2. Insert the the USB drive to the Fire TV box. 3. 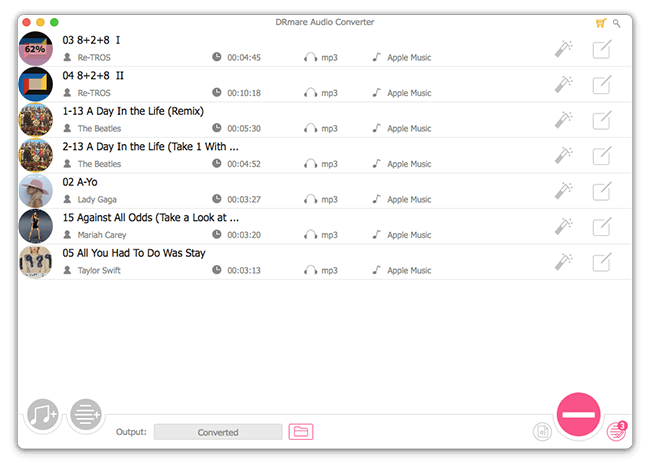 Launch a player from the Apple TV, then you can use it to access and play the audio files. 1. Login the Amazon Cloud. If you haven't an account, you can register one for free. 2. Click 'Upload' button and then select your music to upload, it takes a few minutes. 3. When it is done, you can find all the music from the Amazon Music app, just click the music you want to start playing. You can even ask Alexa to play music for you by voice.